Near-term headwinds are driving a “much lower” financial outlook for Laurentian Bank of Canada (LB-T), according to Canaccord Genuity analyst Scott Chan. He downgraded his rating for its stock to “hold” from “speculative buy” in the wake of Tuesday’s release of weaker-than-expected quarterly results, which drove its share price down 6.2 per cent. The analyst dropped his fiscal 2019 EPS projection by almost 12 per cent to $5.33 from $6.02, citing slower-than-anticipated loan growth, “tempered” net interest margin (NIM) expansion and a higher NIX ratio. His target for Laurentian shares dropped to $44 from $53. The average target on the Street is now $49.20, according to Bloomberg data. Elsewhere, BMO Nesbitt Burns’ Sohrab Movahedi downgraded Laurentian Bank to “market perform” from “outperform” with a target of $50, down from $57. Desjardins Securities’ Doug Young kept a “hold” rating, lowering his target to $47 from $50. Loblaw Companies Ltd.’s (L-T) plan to sell its 62-per-cent stake in Choice Properties Real Estate Investment Trust to parent company George Weston Ltd. (WN-T) simplifies its structure in a “simple, tax-free manner,” said CIBC World Markets analyst Mark Petrie. “Loblaw is now a simplified entity, with no material real estate ownership,” said Mr. Petrie. “As a result, we would not be surprised to see investors move to a simpler valuation approach over time, reducing or removing previous discounts. Free cash flow suffers from the lack of Choice dividends, but capital allocation is simpler, and the implied dividend increase (24 per cent based on Loblaw's dividend holding flat even after the removal of the CHP distributions and the assumed payout on the WN ownership) is clearly a positive. Maintaining an “outperformer” rating for Loblaw shares, Mr. Petrie bumped his target to $82 from $81. The average is $77. He raised his target for its stock to $119 from $114, keeping a “neutral” rating. The average is $120.50. BMO Nesbitt Burns analyst Fadi Chamoun downgraded Canadian National Railway Co. (CNR-T, CNI-N) to “market perform” from “outperform” with a target of $120, which exceeds the consensus of $117.45. "While the outlook for demand and pricing growth are favourable and we expect CN Rail to improve operating margins in F2019, the strong share price performance in recent months leaves a modest margin of safety in valuation," he said. Mr. Chamoun also downgraded CSX Corp. (CSX-Q) to “market perform” from “outperform” with a US$77 target, rising from US$72. The average is US$74. "CSX’s transformation to a precision railroading model continues to be a source of significant improvement in earnings and FCF, with the potential to achieve a 58-per-cent OR [operating ratio] over the medium term; however, visibility into the cyclical tailwinds that have supported earnings growth is low and the margin of safety in valuation has significantly moderated," the analyst said. “Investor conversation over the past month has been somewhat ‘hijacked’ by concerns highlighted in a short report in August,” said Mr. Arthur. “To be clear, several of the topics in the report are legitimate concerns, and ones we (and Maxar) have discussed continuously over the past 18 months (re DigitalGlobe), 5 years (re SSL) or 15 years (re MDA). "Our view on MAXR remains positive, after extensively weighing over many years the opportunities and risks with respect to Maxar and its shares,” said Mr. Arthur. 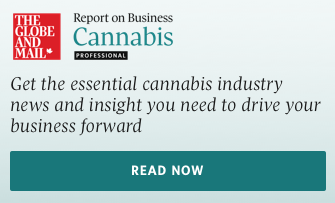 “This report discusses growth drivers, product opportunities, contract renewals, competitive positioning, balance sheet, cashflow and leverage levels,accounting, management, corporate structure and key risks. Maintaining an “outperform” rating, Mr. Arthur lowered his target to US$65 from US$73 due to lower forecasts for its geostationary orbit (GEO) segment, though he said it has “compelling upside.” The average target on the Street is US$60.88, according to Bloomberg data. “Overall, we are pleased with management’s recent actions (divestiture of a portion of Highway 407 and turnaround of core E&C) and see numerous catalysts that should unlock value for shareholders,” said Mr. Poirier following a recent marketing meeting with company president and chief executive officer Neil Bruce and vice-president of investor relations Denis Jasmin. Mr. Poirier emphasized management’s belief that it is an “opportune” time to sell its stake in Ontario’s Highway 407 and that analysts are undervaluing its worth. Mr. Poirier also pointed to the federal implementation of deferred prosecution agreements (DPA), which allow companies to settle legal cases without admitting wrongdoing, as a “key lever” moving forward. Despite lowering his earnings projections slightly for fiscal 2018 and 2019, Mr. Poirier expects SNC’s free cash flow generation to “turn the corner” in the near future. He raised his target price for its shares to $75 from $73 to reflect a higher value for Highway 407. The average target is $70.73. MTY Food Group Inc.’s (MTY-T) US$35-million deal for sweetFrog Premium Frozen Yogurt shows the “success” of its opportunistic acquisition strategy, said Acumen Capital Research analyst Brian Pow. On Monday before market open, Montreal-based MTY announced the deal for Arizona-based sweetFrog, which has 254 franchised locations and 78 corporate-owned locations. He maintained a “buy” rating for MTY shares and raised his target to $63.50 from $58.50. The average is $59.67. “Management highlighted that sweetFrog is a newer, faster growing brand with good growth potential, strong branding, and a premium product,” he said. Canaccord Genuity’s Brendon Abrams initiated coverage of BSR Real Estate Investment Trust (HOM.U-T) with a “buy” rating and US$11 target, which is 8 cents less than the consensus. TD Securities analyst Aaron MacNeil downgraded ShawCor Ltd. (SCL-T) to “hold” from “buy” with a target of $31, falling from $33. The average is $33.50. Mr. MacNeil also downgraded both Enerflex Ltd. (EFX-T) and Precision Drilling Corp. (PD-T) to "buy" from "action list buy." His target for Enerflex rose to $22 from $21 (versus an average of $21.17), while his Precision Drilling target jumped to $7.50 from $7 (versus $6.02). Mackie Research Capital Corp. initiated coverage of Valens Groworks Corp. (VGW-CN) with a “buy” rating and $4.50 target. Haywood Securities Inc. initiated coverage of Steppe Gold Ltd. (STGO-T) with a “buy” rating and $1.75 target. Craig-Hallum Capital Group LLC initiated coverage of Mogo Finance Technology Inc. (MOGO-T) with a “buy” rating.